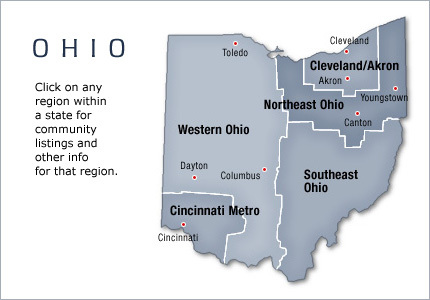 Ohio is a Midwestern state of the United States of America. Part of the Great Lakes region, Ohio has long been a cultural and geographical crossroads. At the time of European contact and in the years which followed, Native Americans in today's Ohio included the Iroquois, Miamis, and Wyandots. Beginning in the 1700s, the area was settled by people from New England, the Middle States, Appalachia, and the upper south.